Something unusual and unexpected happened to me last week: I got an email from Janet Yellen, the previous chair of the Federal Reserve. At first I thought it might have been spam, but it was legitimate. 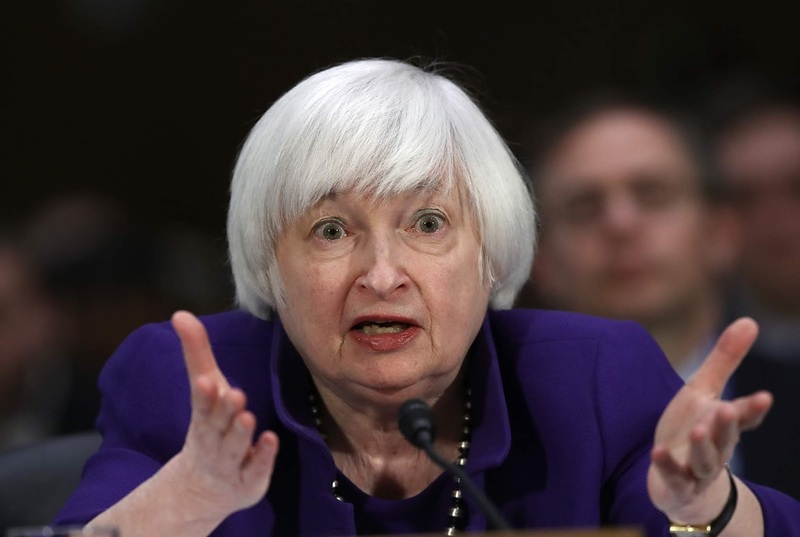 But why would Ms. Yellen be writing to me? Not only had there been zero prior contact between us, but I have long been a critic of the Federal Reserve in general and of Yellen in particular. The purpose of a carbon tax is to reduce the carbon dioxide-producing emissions caused by the use of carbon-based fossil fuels on the alleged grounds that failing to do so will lead to dangerous climate change. By steadily raising the tax on fossil fuels, the use of such fuels will become increasingly costly. Rising prices will lead to reduced demand and consumption of fossil fuels as consumers switch to “renewable” sources of energy to escape the carbon tax. It should be added that Yellen and others advocate a carbon tax as the economically least disruptive way of weaning our society from fossil fuel consumption. I will not sign this petition. My primary reasons for not doing so are threefold. 1) We economists have no professional standing or qualifications to take a collective position on the issue of climate change. I refuse to surrender my right of conscience and blindly join the herd. Yellen and her pro-carbon tax colleagues should know that the science of climate change has no more power to predict the future accurately than does the science of economics. Indeed, as economists, they should recognize that climate scientists confront the same barriers to predicting the future that economists do—namely, that there are far too many variables, only some of which are known, and that the relationships between these variables are imperfectly understood. As I recently wrote, human beings—even economists and climate scientists—cannot be experts about the future; we can only be experts about the past. I am disappointed with my fellow economists for jumping on the bandwagon of a cause that can’t even pass the smell test. The notion that a trace gas like carbon dioxide (about 0.04 percent of Earth’s atmosphere) is the thermostat that regulates Earth’s temperatures is belied by the irrefutable historic fact that over the course of planetary history, CO2 and temperatures have not correlated. It must be great to be in a position of making rules for other people that you don't have to follow yourself.